Who doesn't love the sweet taste of bananas? 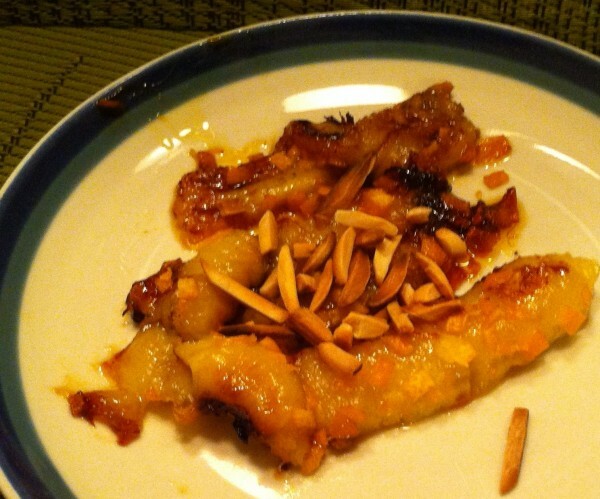 Sauteed Bananas from The Essential Cookbook add brown sugar, orange juice, orange zest, and toasted almonds. This dish doesn't take long to prepare, but is best served warm. I prepared most of the ingredients before dinner. I sliced and sauteed the bananas just before serving them.